For a single parent struggling to make ends meet, many of the back-to-school supplies and other purchases students need in September simply aren't on the budget. Canadian parents are expected to spend an average of $883 on supplies and clothes for students heading back to class this year, according to a recent survey from Angus Reid. "I can't afford everything that [my children] need," said Allison Snow, a single mother-of-three who lives in Burnaby, B.C. "They see other kids with new clothes and new shoes and all these things and I'm not able to provide that for them." Her two youngest children, aged 7 and 11, go to an inner-city elementary school in East Vancouver. The eldest is 19. "I try to save money through the summer to be able to get them stuff in September," Snow told Stephen Quinn, host of CBC's The Early Edition. "Usually, I give them one outfit each and a pair of shoes, but then I can't pay my Telus bill," she said. "I'm behind on Telus for a few months to catch up." Snow relies on food programs like school breakfasts, hot lunch programs and the Backpack Buddies initiative, which provides a bag of snacks, to fill in the gaps. Snow is not alone in struggling financially when September rolls around. One in five children in the province live in poverty, the latest B.C. Child Poverty Report Card found. Teachers have reported seeing the impacts of poverty in the classroom, from hunger and difficulties concentrating to anxiety and struggling to fit in with other students. For Snow, not having access to technology can be a barrier to getting schoolwork done. Her middle child has a learning disability and requires a tablet for his schoolwork. He shares the school's one tablet with other students while in the classroom. When he needs to type up an assignment, they look for a public computer and printer. "It just makes steps a little longer," Snow said. 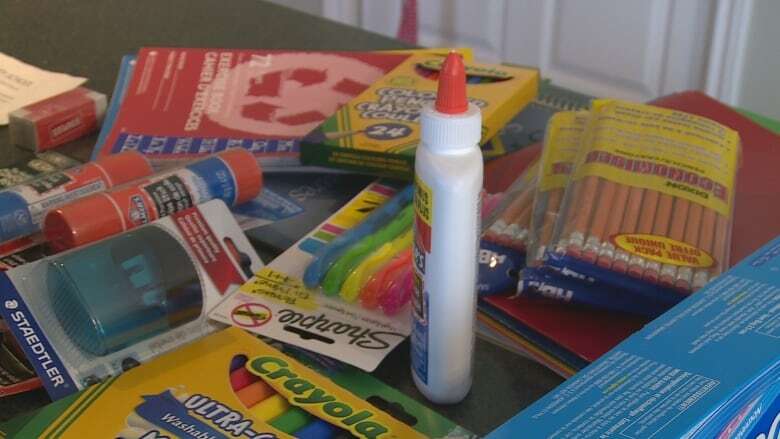 Allison Snow said it can be difficult for her children to see all the the back-to-school supplies on display at the shops, when she can only afford to buy them one new item. 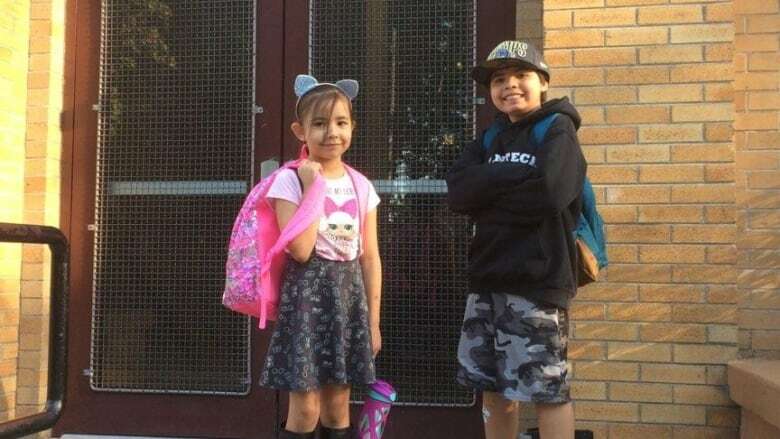 In the past, Snow has qualified for back-to-school gift card initiatives and received items like backpacks from the Vancouver Aboriginal Friendship Centre. She also picks up other supplies at the Salvation Army. "[My kids] feel a little sad sometimes because you go through the stores and they have all the back-to-school supplies out," she said. "I just buy them one thing, sometimes it's a pencil case or some other thing, I try to make them happy that way."